Many stairways have knee walls that are connected to their stair treads and risers. StairSuppliesTM offers a wood knee wall cap that adds decorative style to the standard knee wall. 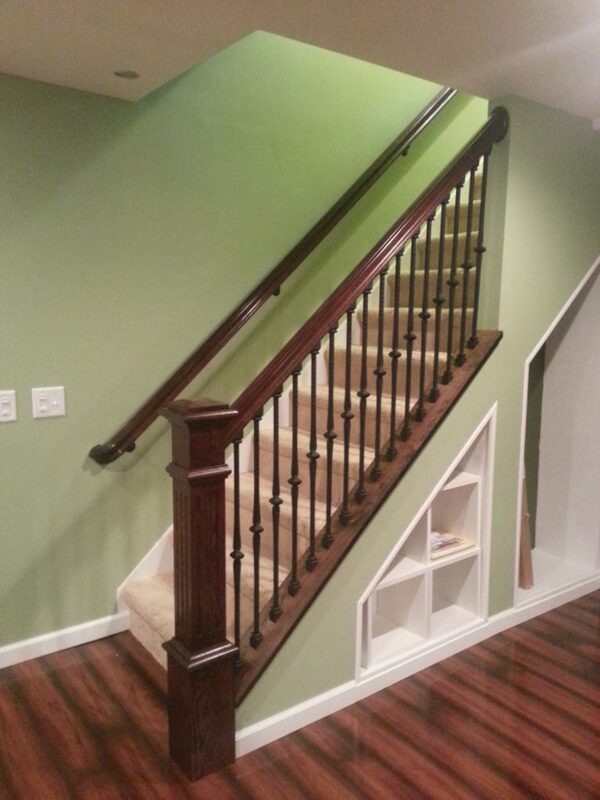 In this photo, you can see that a stained wood knee wall cap matches the other wood stair parts. This gives the entire staircase a uniformed appearance. In addition, it adds contrast that stands out against the green wall. We manufacture our knee wall cap at 3/4″ tall and 6 3/4″ wide. However, if you have a customization request, simply let us know. We are often able to customize parts according to your needs and would be happy to see what we can do for you!